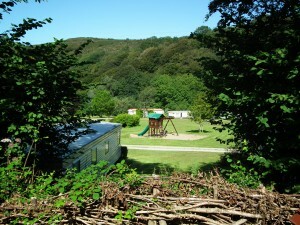 We have pitches for six tourers / motorhomes and four tent pitches. 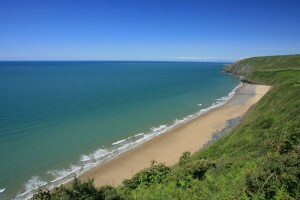 We are 1/2 mile away from the golden, safe beach at Penbryn. Amenities on the park include a shop selling a wide range of provisions, take-away selling hot & cold foods, clean modern toilet block, launderette, children’s play area. The Gamezone with pool table and video games to keep young and old amused, toilet and shower block and plenty of open space for you to enjoy. As we are a family park we do not accept bookings from all male or all female parties. We accept small dogs if kept strictly on a lead and under proper control at all times. We are sorry but we cannot accept bookings from parties which include “large guard dog type” dogs. Our prices are per unit including 4 people. An extra charge of £1.50 per person per night upto max of 6 persons per pitch. Additional vehicle £2.00 per night. Awnings can be erected free of charge (aerated ground sheet only). Minimum 3 nights stay on bank holiday weekends Very large tents may be charged an extra fee, please ask when booking. A non-returnable deposit of 20% is payable on booking, the balance being payable on arrival. Please click here to use our online booking request and we will contact you.